Is Mummy Berry Starting Already? I received the information below from University of Georgia Plant Pathologist Dr. Phil Brannen. It states that in Georgia, mummy berry infection is likely right now due to the warmer weather conditions. We have also had these conditions in Mississippi, so it would be a good idea to keep mummy berry control in mind, especially for southern highbush blueberries. Meanwhile, rabbiteyes are not far behind. 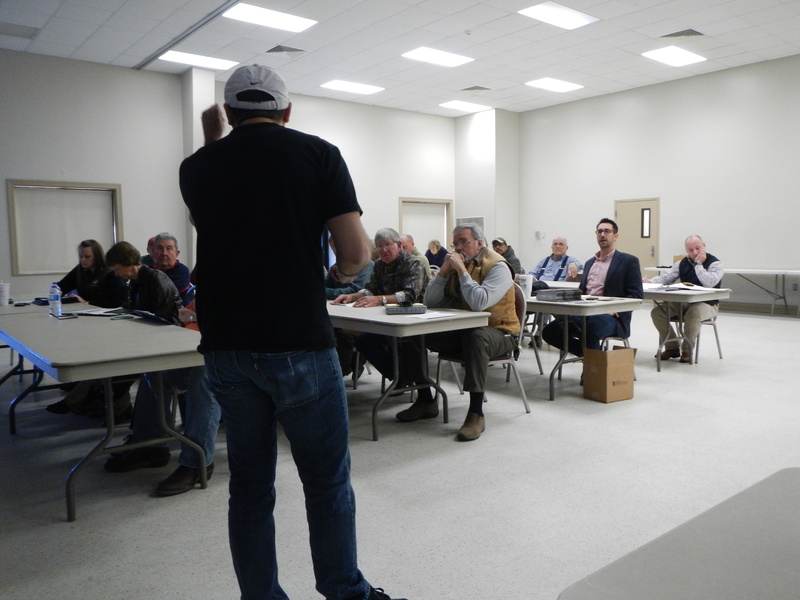 Last week (February 12), MSU Extension, USDA-ARS, and the Gulf South Blueberry Growers’ Association co-hosted a blueberry education workshop for Mississippi blueberry growers. The agenda was as listed below. Click on the name of the presentation to see the PowerPoint as a PDF file. Dr. John Adamczyk (USDA-ARS Poplarville): Pollinators and You in our Blueberries: Are We Taking It For Granted? Overall there were roughly 50 attendees. Evaluation data indicated that the crowd was pleased with the topics. Some even suggested topics for next time, which is always welcome. Below are a couple photos of the event. If you were not able to attend this year’s event, please plan to make it next year. It will likely be around the same time and place. If you have any requests for topics or speaks please let me know and I will do all that I can to accommodate it. Thanks for a great turnout! I also “Live Tweeted” the workshop. Those tweets generated 1015 impressions (how many people saw the tweet in their timeline) and 66 engagements (how many people clicked on the tweet). That is a 6.5% engagement rate from those who did not even attend! I try to tweet other events as well and general information related to fruit crops. Mummy berry sprays should be applied starting at first sign of green tissue. Indar, Orbit, Pristine, and Proline (a new material) showed efficacy. Serenade, an organic product, also had some efficacy. Regalia, another organic product, had no effective control of the disease. Exobasidium is becoming resistant to Pristine in GA. ‘Premier’ has high infection rates, as does Tifblue. A full Captan spray schedule is effective (about 8 sprays in GA), but not using Captan as a delayed dormant spray. Use Lime Sulfur or Sulforix for best control as a delayed dormant spray. Xyllela (blueberry scorch) has been found in various states. In Rabbiteye’s it leads to chronic symptoms, but in Southern Highbush scorch symptoms are readily apparent. There may be different strains of this disease and more work is being done. Blueberry Necrotic Ring Blotch is a non-systemic viral disease that is only in leaves. Mites spread it. It can lead to defoliation of the plant. Broad mites have been found in blueberries and blackberries in Arkansas. Damage resembles Roundup injury. Leaves have a “silvery” look, with rosetting and stunting of plants, and necrosis of the petiole. It will kill shoot tips. 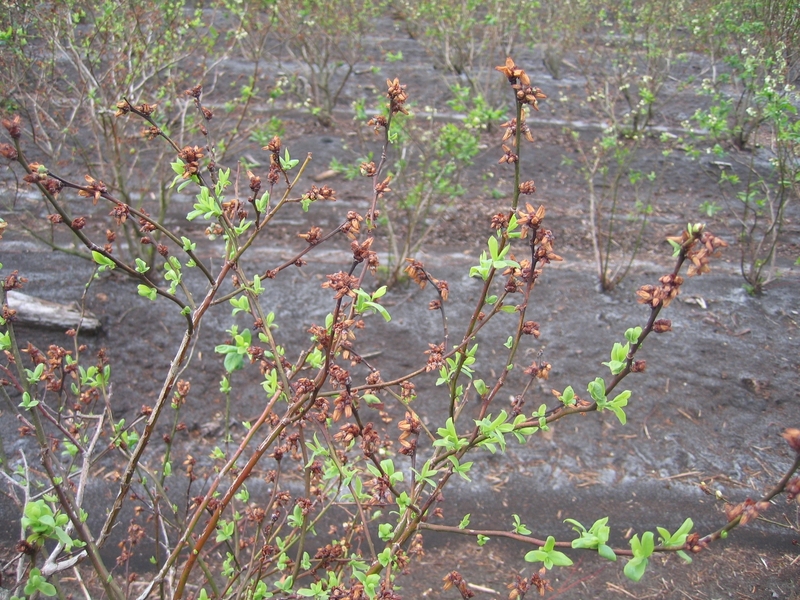 Blueberry rust is a problem in Gulf Coast areas of Alabama. Three new Southern Highbush blueberries are being released from UGA soon. 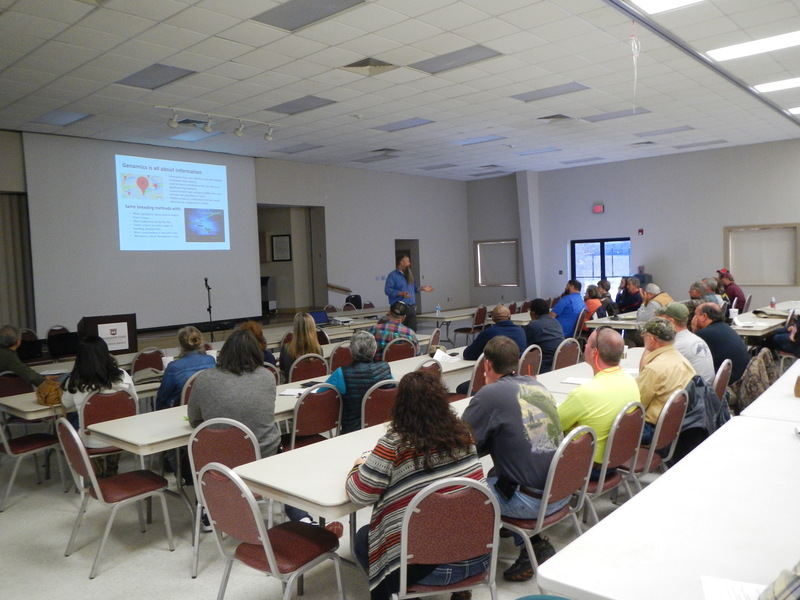 The 2015 Mississippi Blueberry Education Workshop will take place February 12, 2015 from 1-5pm at the MSU Forrest County Extension office in Hattiesburg, MS. Mississippi State University Extension Service, in conjunction with the USDA-ARS and the Gulf South Blueberry Growers Association, will once again host an educational workshop focused on blueberry production in Mississippi. This year the topics will include Spotted Wing Drosophila, Disease issues, Blueberry breeding, Pollination and pollinators, Mechanized harvest technology and economics, and the Food Safety Modernization Act. Please come learn about these important topics. Cost: $10, at the door will be collected by the Gulf South Blueberry Growers Association to help in future workshops. Botrytis flower blight and fruit rot caused by the fungus Botrytis cinerea is likely to be a problem this year in NC. 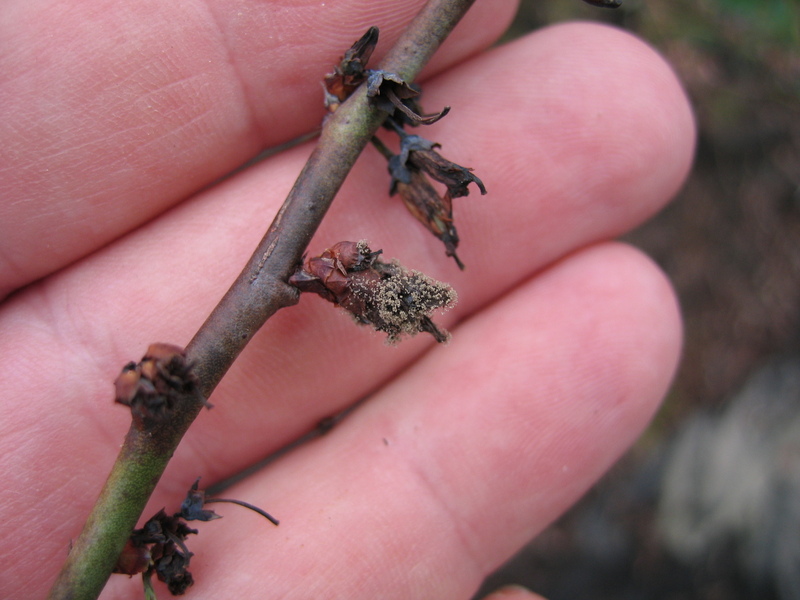 The disease can become severe when freeze injury to flowers is followed by cool, wet weather. Over the past month we have seen repeated freeze damage to emerging blooms so the risk of flower blight is already high due to the amount of injured tissue. The fungus infects through damaged flowers, may kill the entire fruiting twig, and can also cause a fruit rot at harvest. 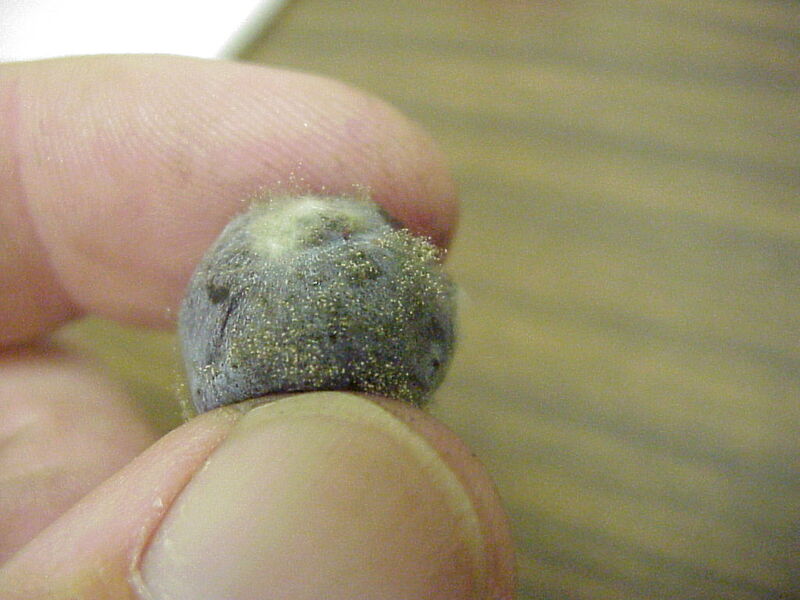 The best control measure for this disease on blueberry is warm, dry weather! With dry, sunny days any freeze-damaged flowers will quickly dry out and fall off. However if cool wet weather is anticipated, the use of a fungicide may be warranted, and there are a number of labeled fungicides for control of this disease. If you are already spraying fungicides for mummy berry, this might be a good year to include a product that has activity against flower blight. Recommended products can be found at smallfruits.org in theBlueberry IPM Guide. Page 31 lists the relative effectiveness of fungicides against this disease. Some good choices would be CaptEvate, Elevate, Pristine or Switch. As always, read and follow the label.